Las Vegas is on pace to have a record number of visitors in May, especially from our neighbor to the North, because of the Stanley Cup Finals, which were held between May 28 and June 7. Canadians, who are crazy about hockey, saw this championship as an opportunity to visit Sin City, see a Stanley Cup Final game, and gamble. And, many of them jumped at the chance to do so. The influx of Canadians to Las Vegas was good for the city. This increase in tourists is welcome news after the decline that followed in the wake of the mass shooting at the Mandalay Bay in October 2017, in which 59 people were killed. 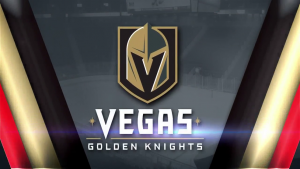 This year’s Stanley Cup Finals was between the Las Vegas Golden Knights, who have only been playing in the National Hockey League (NHL) since 2017, and the Washington Capitals, who have been playing in the NHL since 1974. The Capitals have never won a national hockey championship. Canadians, who consider hockey to be their national sport, have not had a team win an NHL championship in 25 years. They are finding they have to travel to the United States to see any hockey final, even if a Canadian team is not in it. Named for Lord Stanley of Preston, former governor-general of Canada, the Stanley Cup is the prize the team that wins the NHL championship receives. It’s the oldest trophy for a championship sport in North America and has been awarded since 1893. Canadian teams have been the overwhelming winners of the trophy, having won it 78 times. 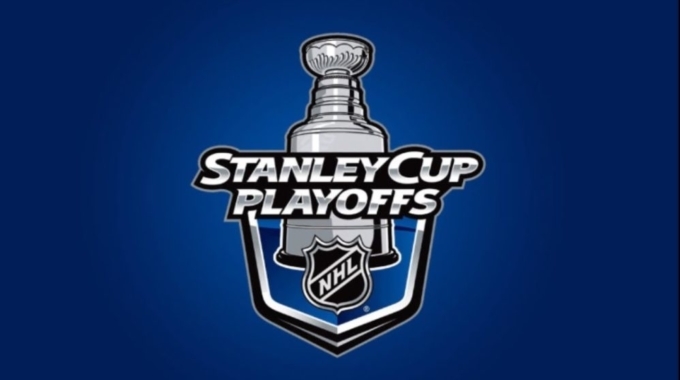 This season, the Toronto Maple Leafs and Winnipeg Jets both made it to the Stanley Cup Playoffs, but neither advanced to the finals. The Jets made it into the conference finals but lost to Las Vegas. As a series, the Stanley Cup Finals were not all that impressive. The Capitals beat the Golden Knights four games to one. While Canadians regularly visit Las Vegas, and their numbers are usually in the hundreds of thousands, there was a large uptick in the number of visitors from north of the border. They mostly came from Canada’s western provinces, including Vancouver, British Columbia; Edmonton, Alberta; and Regina, Saskatchewan, which are the largest Canadian cities closest to Las Vegas. 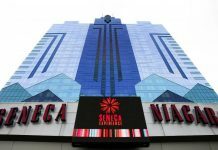 According to preliminary figures, it is estimated that as many as 150,000 Canadians visited the gambling mecca during the month of May. There are many reasons Canadians choose to visit Las Vegas during the spring. First, the weather is much better in the United States. While the average temperature in Edmonton in May is 64 degrees, the average temperature in Las Vegas is 90 degrees. Many Canadian provinces have snow in May, and Canadian winters can last from six to eight months in certain parts of the country. Las Vegas offers Canadians many different opportunities that they cannot get back home. In addition to gambling, which many Canadians can do in their home provinces, there are single-game sportsbook bets that Canadians cannot make. Their home provinces only allow parlays. 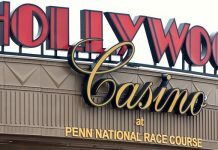 While the U.S. Supreme Court recently ruled that states can make their own decisions about sports gambling, Las Vegas has had sports gambling for decades and was the only state that had single-player gaming. While Las Vegas was on the mind of many Canadians in May during the Stanley Cup finals, Nevadans hope that while they were in the area for the hockey games, Canadians found other reasons to visit the city: climate, opportunities for outdoor activities, excellent food and drink, high-roller luxuries, and entertainment.